This is an Indian-style sweet and savory snack that is super easy to prepare. You can vary the fruits to your liking and what’s readily available. Poke holes in the sweet potato and microwave for 5-8 minutes, rotating half way through. Allow to cool, peel and cut into small cubes. 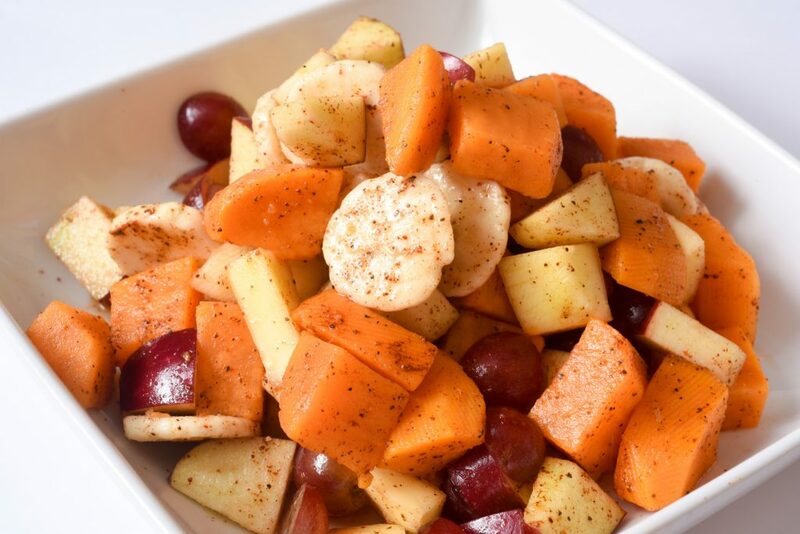 Combine banana, apple, mango, grapes, and sweet potato in a big mixing bowl. Squeeze juice from limes into mixture and toss. Mix in the salt, chili powder, and black pepper.